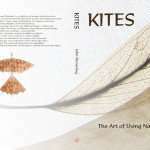 Kites: The Art of Using Natural Materials is a collection of images which show how the beauty, intricacy and delicacy of natural materials have been used to form flying structures. 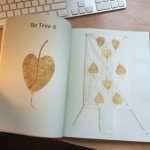 The author uses leaves, plants, trees, paper and bamboo to make kites that bring delight to both mind and eye. 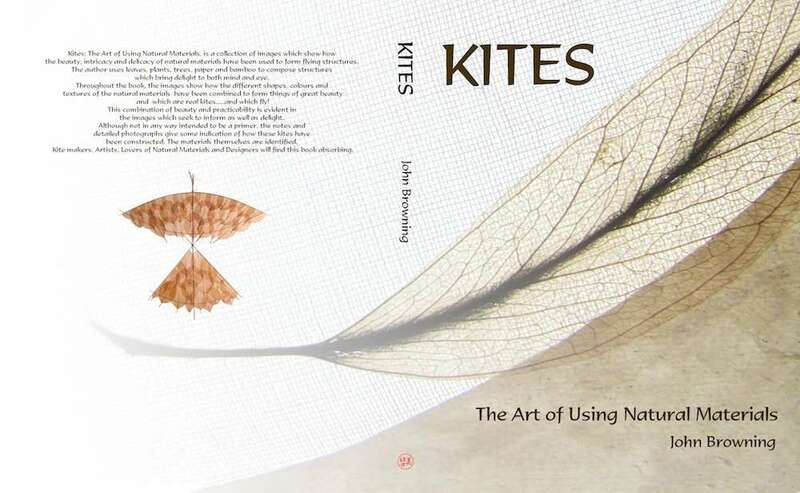 Throughout the book the images show how the different shapes, colours and textures of the natural materials have been combined to form structures which are real kites…..that fly! This combination of beauty and practicability is evident in the images that seek to inform as well as delight. Although not in any way intended to be a primer, the notes and detailed images give some indication of how these kites have been constructed. 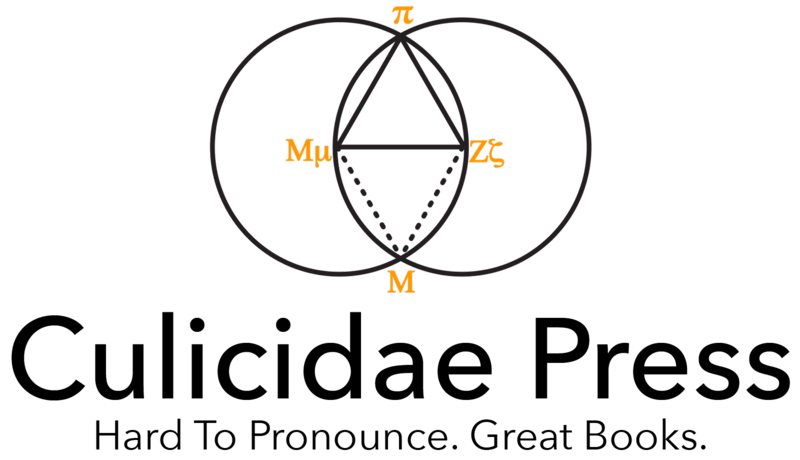 The materials themselves are identified. This book came about because of serendipity, like so many other things in life. In 2013 my wife and I were traveling with another couple through the southern United Kingdom and came upon the National Trust’s Mottisfont Abbey where we toured the main house. Downstairs was an exhibit of Winnie the Pooh drawings and upstairs we encountered a small hallway filled with these beautiful, fragile kite constructions made of bamboo, translucent paper, and a variety of leaves. As I was busy taking photographs a man approached and asked: “Do you like these?” I answered: “Of course, they are fabulous!” He identified himself as the maker of these amazing kites, and after asking him if he had published any images of his handiwork in book form (which he had not) I gave him my business card and proposed a book project. 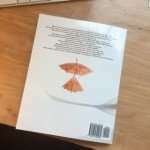 The result is this, John Browning’s Kites: The Art of Using Natural Materials, a collection of images he took of the kites he makes and flies all over the world, with endorsements by Claude Léa Comallonga and Christine Armengaud (in the Foreword), and an Introduction by the author, a section on Materials (Trees and Plants, Paper and Fibres, Bamboo). The large illustrated section of the book that shows off the kites (details and overall views, one kite per spread) is followed by a short section showing the kites in flight. 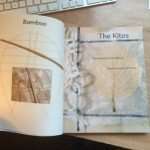 Toward the end of the book John Browning has included Notes on the Kites—with sometimes very personal descriptions and evocations—a page about the Processes he uses to make the kites, and from a scientific perspective, the Botanical Names of the materials used in the making followed by Acknowledgments. 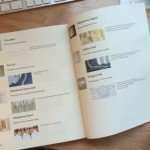 Browning designed the layout of the book himself and took all the photographs. Like his kites, this book is a stunner! 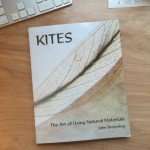 New books that feature kites are becoming a rarity so this one is a welcome addition. 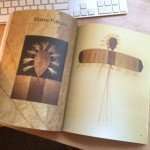 This large, 176 page, book is primarily a catalogue of splendid illustrations of [Browning’s] unique kites…all made from natural materials. It is clearly a labour of love and reflects a long trail from meeting artist Claude Comallonga, becoming inspired and then spending several years developing his own techniques, creating the kites shown in the book, flying them and now presenting them here. 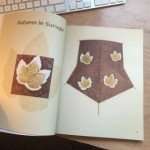 I particularly liked his ‘Leaves and Keys’ kite made from Sycamore Leaves and Keys … He describes it thus: “In Autumn, it often seems that there are more keys than leaves. And then they fall down. I captured some. Now they float upwards. Magic!” Poetic. I’ve known John has been working on a book for some time, so was very excited when he let me know it was now available to buy. I haven’t bought or seen any new kite book for years, so was really looking forward to this treat. And I was not disappointed! The first thing you notice are the high quality pictures. There are many of them, and all taken by John. 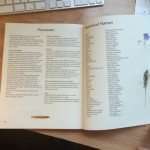 As this book is print-on-demand I was slightly worried that print quality might be compromised, but glad to say that it hasn’t at all. 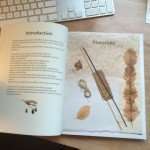 The book starts with a Foreword, and then a pictorial introduction to materials. 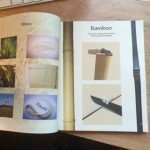 With minimal text these pages give you a tantalising taste of plants, papers, fibres and bamboo. 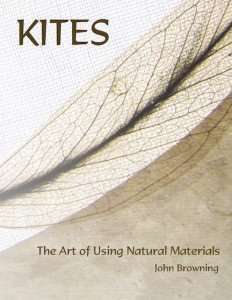 As John has said, a whole book could be given over to materials and techniques, but for this book the focus is on pages and pages of the most beautiful unusual kites. Most of the book consists of a retrospective of Johns works, with a couple of excellent photos of each kite over one or two pages, and its name. 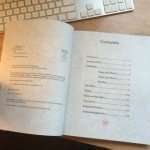 No detailed explanation or technical specs, the pictures tell you nearly everything. One thing that this massive chapter gets across is quite how addicted John has become to these types of kites. I knew he was spending a lot of time on these but you can see that he is on an exploratory journey/quest to push this little-explored area of kite making out to its limits. 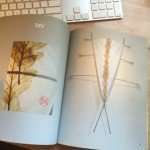 At the rear of the book are some pictures of them flying, and again brief notes and another tantalising snippet on the processing of fibres, and a list of Latin plant names. 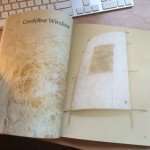 John was absolutely clear, this is not a book of plans or an in-depth instructional book; this is an art book showcasing and concentrating on sixty plus kites that he has made of natural materials. It is focused on beauty, form and the relationship between these and how the materials dictate both. However, apart from the enjoyment I experienced from just looking at many interesting beautiful kites, John has presented a lot of stimulating ideas. I think all kite makers can take ideas away from this book, and not necessarily to make in natural materials, I am keen to make kites with outriders and try something asymmetric. Overall a great source of inspiration and quite unlike anything else on my kite bookshelves, definitely one to keep coming back to. If I had any constructive criticism I would say that John himself comes over as somewhat of an enigma, but then perhaps this was his intent? If I didn’t know him I certainly wouldn’t by the end of the book, not even a picture of the handsome fellow. A bit more about him I think would be really helpful for those not lucky enough to meet him in the flesh. Quand à Dieppe, au cours du festival de cerfs-volants de 2010, nous avons longuement discuté sur les aspects techniques de la fabrication des papiers végétaux, je ne pensais pas que tu irais si loin et si vite. 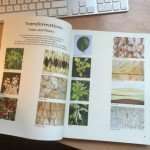 Tu as su t’affranchir de mon travail et trouver ta propre expression avec ces merveilles que sont les végétaux papérisés associés au bambou. 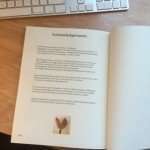 Cher ami, je me permets de te faire remarquer que nous travaillons sur des squelettes qu’ils soient feuilles de hêtre, fruits de tilleul, fleurs d’hortensia…, sur des objets destinés au pourrissement dont nous essayons d’en extraire la charge poétique en les transcendant. Tu y parviens avec bonheur. Que ces beautés soient cerfs-volants faits de rien ou de si peu ne peut que nous émouvoir d’avantage. Je suis fière de t’avoir mis le pied à l’étrier. Continue. John est-il un enfant des Maoris? Au 19ème siècle plusieurs savants partis pour de lointains voyages ramenèrent dans leurs bagages des dessins très précis et quelques cerfs-volants fabriqués en feuilles, découverts en Indonésie, Mélanésie et Nouvelle Zélande, notamment chez les Maoris. Ces voilures de feuilles ne semblent pas avoir inspiré qui que ce soit en Occident. Les artistes ne commencèrent à créer des cerfs- volants qu’à l’époque du Bauhaus et surtout dans les années 70. Cette nouvelle forme d’Art prit l’air, affronta le vent, le soleil, l’espace. Mais l’exploration des possibilités qu’offrent les feuilles végétales ne vint que plus tard, après des décennies d’oubli, quand les cerfs- volants feuilles traditionnels refirent surface dans des festivals du Vent. 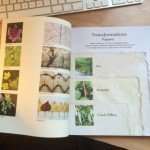 Ceux de John, tous différents, constituent un ensemble, une sorte d’herbier volant. Contrairement aux Maoris qui n’utilisaient que les plantes locales, il a voyagé et prélevé de nombreux échantillons de l’infinie variété des créations de la nature. Il les met en scène avec un mélange de rigueur et de poésie qui les sublime et les transforme en œuvres d’Art. Un art éphémère, émouvant et si délicat que l’on retient son souffle au moment où il les emporte sur la plage pour les faire voler. From an early age, John Browning always wanted to be a Chemist and that’s what he turned out to be. During a career as a scientist and inventor, he always retained a deep interest in the Fine Arts. Some fifty years ago he took to making and flying kites; always more interested in traditional materials – paper, silk and bamboo. Inspired by the work of French Artist, Claude Léa Comallonga, he took up the use of natural materials (leaves and other growing things) to make his kites. Papermaking also became a means of supplying material to be included in his creations. 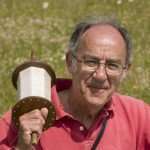 He has exhibited at shared, international and one-man exhibitions, has given informative illustrated lectures to many Arts groups and is always looking for more opportunities to share his passion for kites. To order the hardcover version, please use this link. For the paperback edition, please use this link. 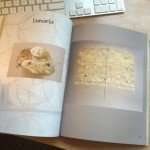 As an introductory incentive both versions of the book are currently available at 10% off the retail price. If you work for a library or a bookstore, contact us and we’ll send you special pricing information. 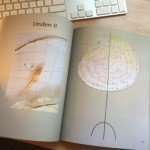 You can also order the book through Amazon at the normal retail price in the United States and the United Kingdom. Weight: for the paperback book about 1.51 lbs and for the hardcover about 1.58 lbs.